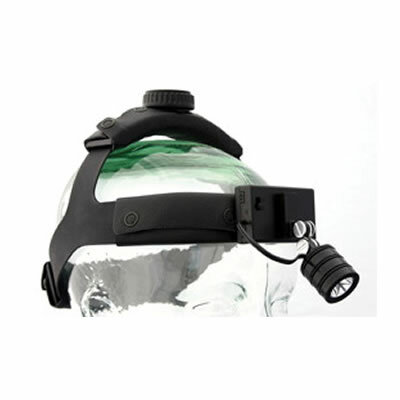 The Task-Vision Bright Star LED Portable Loupe System from Vision USA is available with cushioned headbands or clip-ons that can attach to any loupe, prescription glasses, safety glasses, or laser glasses. The headset is available alone or with +1.5. +2.0, and +2.5-range clip-on magnifiers. The loupe system also features bright, direct LED light, dual pivot points, and an on/off switch.